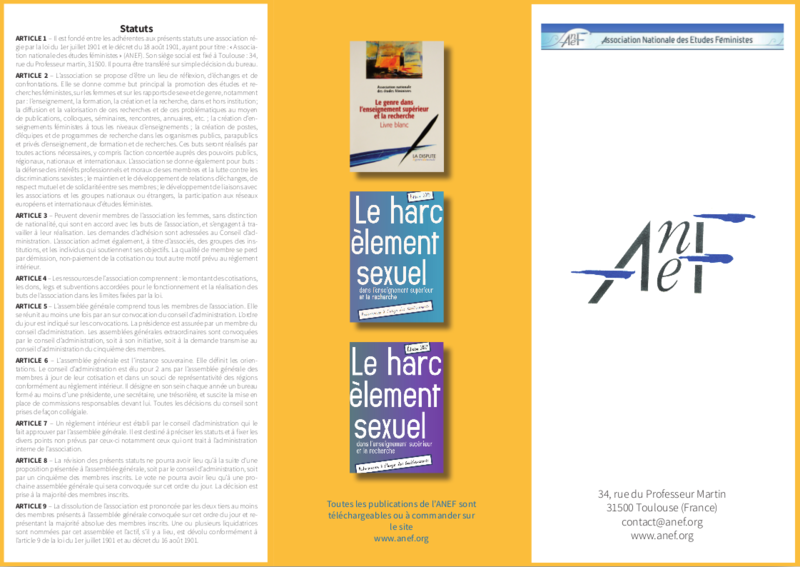 in Scientific Careers” du European Educational Research Journal. Gender-related inequalities in scientific careers are widespread, evidenced by the attrition of women along the different stages of the promotion ladder. We studied the interwoven personal and professional trajectories of researchers in ecology and compared these trajectories between France and Norway. Given their differing welfare state policies and work/family regimes, we expected contrasts in the depth and modalities of the gender gap. We focused on the career consequences of time-use inequalities in the workplace and in the private sphere (domestic tasks and parental care). We find a more frequent assignment of women to less-valued tasks at work (e.g. 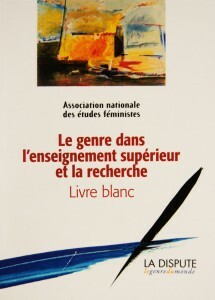 teaching) and pronounced gender differences in the involvement in domestic and parental tasks, especially in France. Age at promotion and probability to be promoted differed between gender in both countries and more so in France, women being less promoted and promoted later than men. This gender gap was particularly discriminating women with children, when they were either single or with a partner who also was a researcher. These differences are mainly due to a lower scientific productivity of women when they get children. These analyses raise a number of questions on welfare policies and on the definition of academic standards of peer judgment within local employment policies in universities. 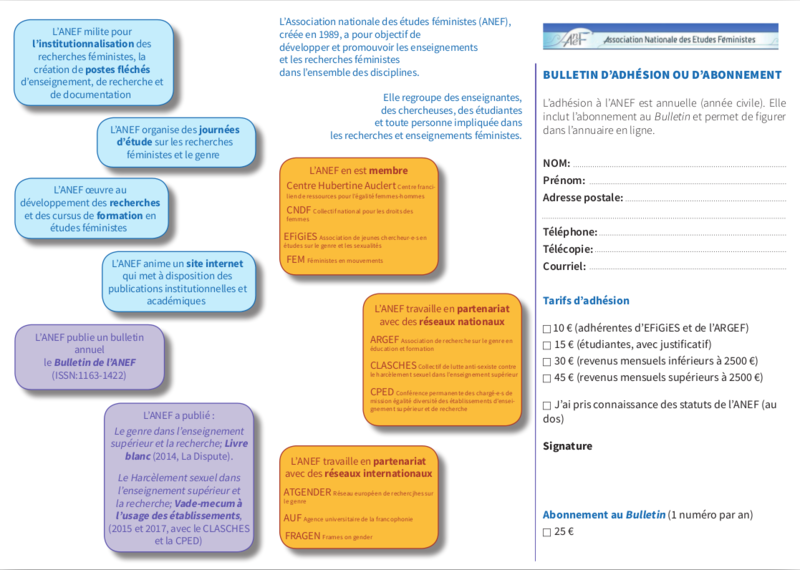 The objective of the Association Nationale des Études Féministes (National Association of Feminist Studies – ANEF) is to further Feminist Studies and promote the discipline in France and abroad.